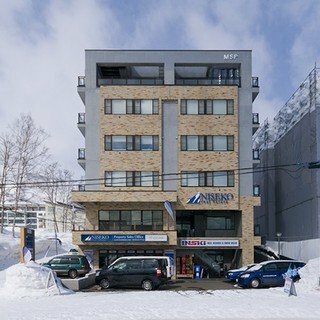 Luxury apartments showcasing modern interior design, located right at the heart of Niseko's bustling village centre, only a few minutes stroll away from the ski lifts. 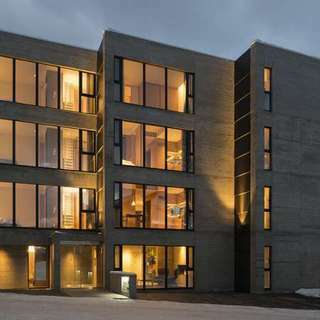 Enjoy this perfect combination of luxury design and convenience on your next holiday to Niseko. 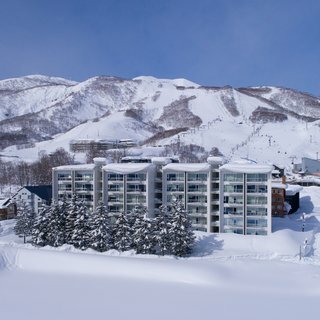 The start of your day is hassle-free when staying at The Setsumon, with the Ace Quad chairlift only a few minutes walk away you can have an easy start to your morning before hitting the slopes. Spend your day exploring Niseko's backcountry, racing down groomers or achieving your first turns on the green runs and return exhilarated and exhausted from the day's adventures. Perhaps stop by one of Hirafu's onsens on your way back to your apartment or if you're lucky enough to be in a penthouse have soak in your outdoor hot tub overlooking the ski hill and majestic Mt. Yotei. Spend some time relaxing in your spacious and comfortable living area, getting cosy by the fireplace. Your evenings can be spent sampling Niseko's numerous restaurants, many of which are within 5 minutes of your front door. Or for a more relaxed evening, dine in and make use of your fully equipped kitchen and inviting dining area. "Location wise is perfect, just need to across the street, walk 50m of icy road, then reach the ski school and family lift chair. Abu Cha 2 is just opposite to the apartment. The living room of the apartment is spacious and cozy." "Excellent location right next to ski rental shops and restaurants. Very near the mini mart. Also quite close to the Ace family chair lift if you take the short cut just across the building. We stayed at the penthouse with jacuzzi. The view of Grand Hirafu slopes from the jacuzzi were amazing! This was our first trip to Niseko and we had a fantastic time. We are already planning next year's trip. Can't wait to be back!" "Great location, excellent accommodation. We stayed here with a family group and it was perfect, right in the middle of the action and close to restaurants, ski rental and a very short walk to the ski lifts. Highly recommended." "We've stayed at the Setsumon four or five times and are always thrilled. The apartments are modern but cozy. We love the kitchen, taking a hot bath after a day of skiing, and relaxing by the fireplace in the evenings. The Setsumon is located super close to the Quad family lift--a 3-4 minute walk in gear, and lots of great restaurants are within a block or two. The staff are friendly and helpful. Our kids always want to come back to the same place, and it's started to feel like home on holiday." "The room was great and had amazing views over Hirafu. The hot tub in the penthouse made it well worth it. It felt very private, but yet still had great service. With only a 2 minute walk to the lifts, we will definitely be staying here next year!"